My family and I love potatoes. Really, we love potatoes. Because we eat them so frequently, and because the are a root vegetable--that is, they grow underground soaking in everything from the soil, not just onto its skins, but into its flesh--we buy organic. 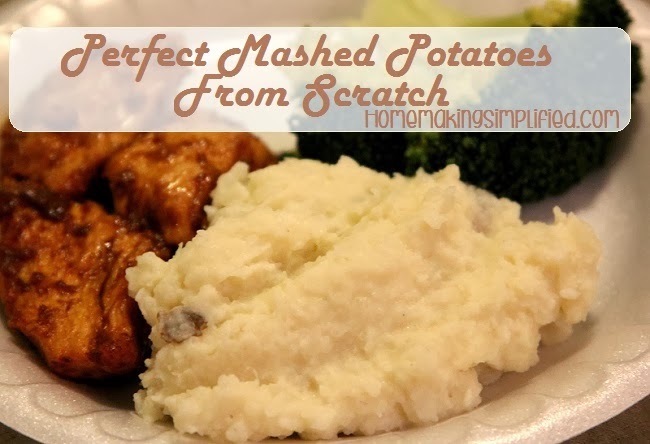 Mashed potatoes are a family favorite that are sure to complement most any meal. Here is a quick and easy recipe that uses only 5 ingredients! 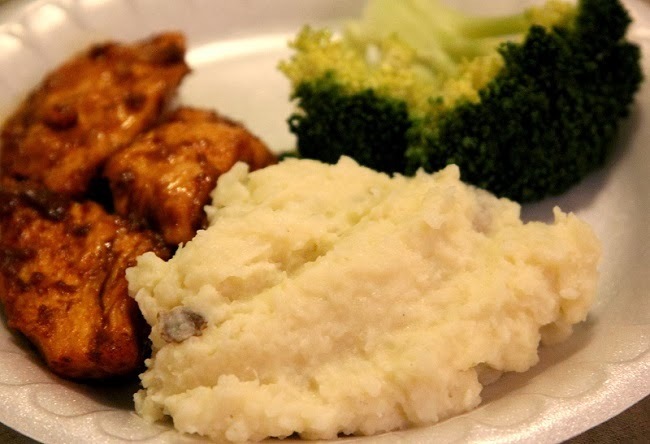 Simple Five Ingredient Garlic Mashed Potatoes. Wash your potatoes and clean their skins well by scrubbing them. Place potatoes in a large pot (dutch oven) of water. With the lid on, bring the water to a boil. Once boiling, lower the flame to a simmer and boil potatoes until they can be poked with a fork. Once the potatoes can be poked with a fork, they are cooked. Drain the water and allow the potatoes to cool. Once cooled, peel the potatoes by hand. Be careful here as the potatoes can retain internal heat. Put half & half, butter, salt, and garlic powder into the pot and heat on a low heat. Once the butter is melted and the ingredients are mixed, put the peeled potatoes back into the large pot. Keeping a low heat, mash the potatoes into the milk mixture until light and fluffy using a potato masher. .Once you get a light fluffy consistency, you are ready to serve! Enjoy!